Entering the theater at On The Boards, hallowed ground of performance art in Seattle, viewers were greeted with kickin’ beats and hip hop. By the time the lights dimmed, the audience was ready to party. To this end, Kyle Abraham/Abraham.In.Motion definitely ‘brought it’ in fierceness of movement and intensity of content on Thursday, April 19, 2012, for the opening night of Live! the Realest MC. At the risk of sounding cliché, the word ‘refreshing’ comes to mind regarding Abraham’s choreography. 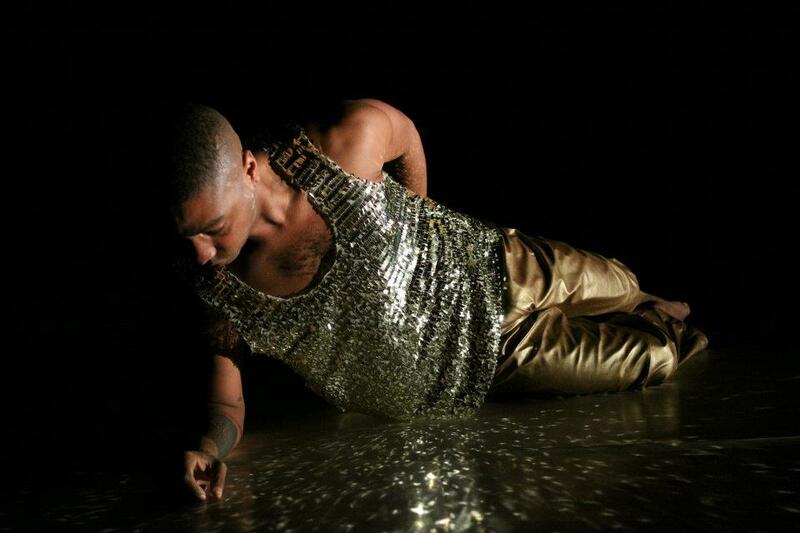 His movement acknowledges traditional dance technique and African-American culture. 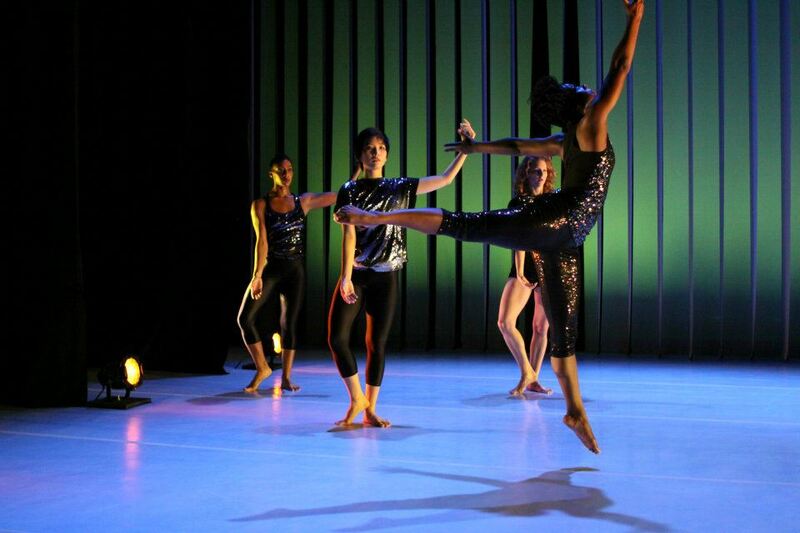 The time spent in residency and development of the piece is clear in Abraham’s weaving of structured technique with the fibers of hip hop, break dance, and African dance. Not merely eye candy, the performers dug into the painful intricacies of self, gender, and identity. Altogether, Live! the Realest MC is a bracing visual, auditory, emotional, questioning journey you don’t want to miss. Knowing precisely where they were in space and moving savagely in unison, the performers were fascinating to watch in solos and group work alike. And they were not all exactly alike, either. Different builds and complexions were in evidence, as well as equality of sexual preference, seen as the dancers moved through sketches of relationships. Alternating between fast-paced leaps, legwork phrases, and flailing motions depicting emotional extremes, the performers evidenced enthralling control. Though there were no gushing displays of affection, Live!was piquant with fierce performers who both sliced and crushed through space and became human the instant they connected with each other. Through the intertwining of individuals and groups, characterizations and abstract movements, technology and emotionality, Live! found a balance point. It neither took itself too seriously, nor did it pull punches. Abraham’s use of bodies in space, lighting, and giant vertical curtains for projections became the final threads creating a complete world of performance. This multimedia approach combined with Abraham’s unique movement vocabulary spoke fittingly to the depth and seriousness of youth struggling with their identity. Live! The Realest MC,through the movement of powerful and honest bodies on stage, spoke honestly and powerfully as Abraham engaged the audience in a modern dialogue of gender identity and cultural values. The standing ovation was deserved. The performance of Live! The Realest MC continues April 20 through 22, 2012, at 8pm at On The Boards. Tickets can be purchased here.